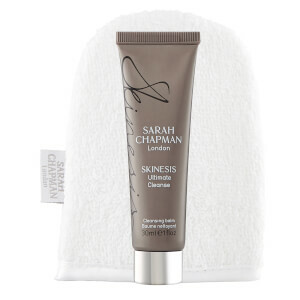 Bring the spa experience home with Sarah Chapman's Skinesis Overnight Facial, an award winning night-time treat dedicated to lifting, firming and revitalising the appearance of skin. 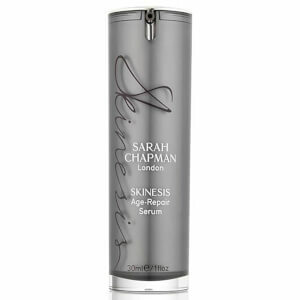 With a silky soft, serum-oil texture, the elixir really brings home the skin perfecting benefits of a Sarah Chapman facial; combining exotic essential oils with potent antioxidants and peptides to infuse the senses, calm the skin and plump out dull, 'flat' skin for a youthful appearance. Ideal for those concerned with ageing skin, the innovative formula will promote a brighter, more balanced complexion, smoothing out the appearance of lines for younger-looking, radiant results. Smooth or massage into the skin every night using Skinesis massage techniques as outlined in the product leaflet. For added benefits use over the Skinesis Age-Repair Serum or Age-Repair Concentrate and incorporate resculpting Skinesis massage techniques, as found in the product guide. Use with the Skinesis Facialift to enhance the rejuvenating and radiance boosting properties of this serum. Best Overnight Facial i ever bought..it works. . will be buying it again. I only used twice and i can already see the changes on my face. Its brighting my face and make my face more smooth. Not oilly at all. I have oil skin and i like it! I noticed a difference in the appearance of my skin after the first night I used the Skinesis facial. Overall, it looked smoother, healthier--I'd even go as far as to say almost dewy. There's no miracle anti-aging treatment; however, this product goes a long way. My skin is oily, so I was a bit apprehensive about the initial oily feel of the product, but my skin absorbed the facial nicely while I slept. I've been using it for about a week and a half now, and I think I'm sold! a bit oily but skin can absorb it quite fast - just started to use, will see how effective it is. I have been using Overnight Facial for a month and I can already tell a difference in my skin. The smell is wonderful and it feels very good on my skin. This is the second time I bought it. At night, I just clean my face and apply this overnight facial only. It is oil but not sticky. The smell is very nice. Although only putting this one thing on the face, I find my face very soft and smooth when I wake up in the morning. Highly recommend for everyone. The design of the bottle is so smart that you can used up every single drop of the oil. excellent It's very convenient.Can use it after wash face without other step. And it‘s very good for the skin.worth to haven it. This is really amazing face oil, I thought it was a serum when I see the product name/description, thought it's a bit pricey as it's only 15ml. However, when I give it a try, it worth every penny. The smell is great and it did make my skin softer and lighter then next morning. The difference is so significant that I am quite sure it's all about it. Smells Divine and leaves my skin very soft!